22 K Artworks have been viewed 22,044 times. 15 Artworks have been added to favourites 15 times. Carl Christian Constantin Hansen (3 November 1804 – 29 March 1880) was one of the painters associated with the Golden Age of Danish Painting. 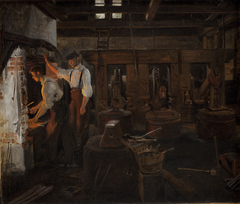 He was deeply interested in literature and mythology, and inspired by art historian Niels Lauritz Høyen, he tried to recreate a national historical painting based on Norse mythology. 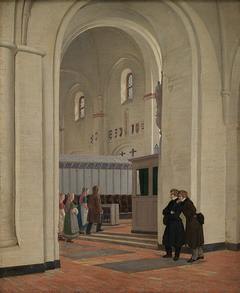 He painted also many altarpieces and portraits, including the historical The Constitutional Assembly (Den grundlovgivende Rigsforsamling) between 1861-1865. He was born in Rome, the son of portrait painter Hans Hansen. The family soon moved to Vienna where the widow of Wolfgang Amadeus Mozart became godmother at his christening. 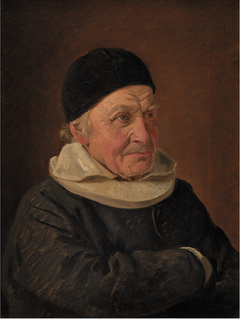 The family moved to Copenhagen within his first year, where he was raised. 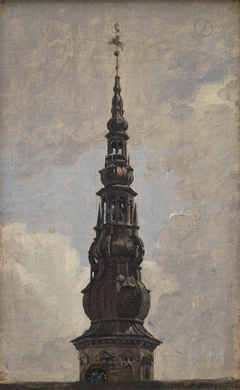 He entered the architecture school of the Royal Danish Academy of Art (Det Kongelige Danske Kunstakademi) at 12 years of age, but changes his course of study to painting at the age of 21. 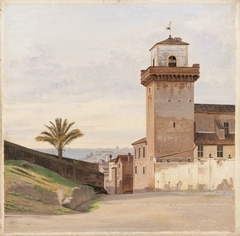 He began his training under Christoffer Wilhelm Eckersberg in 1828. He lost both his parents at about this time to typhus, and became the sole supporter of his younger sisters. 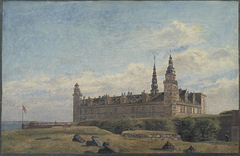 He took over several commissions that had belonged to his father, including some copies to the Portrait Collection at Frederiksborg Palace and decorative paintings to Christiansborg Palace. 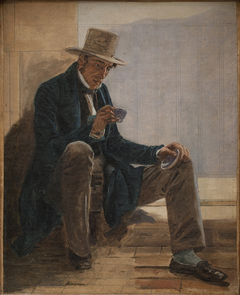 In 1835 he received a two-year stipend to travel abroad, which was followed up by an additional year's stipend. 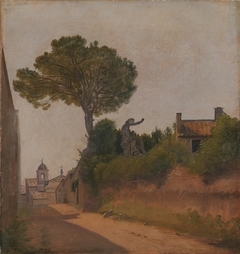 His travels took him through Berlin, Dresden, Prague, Nuremberg and Munich on his way to Italy, where he travelled extensively and stayed longer periods in Rome, Naples and Pompeii. In Italy he met fellow Dane, the sculptor Bertel Thorvaldsen. 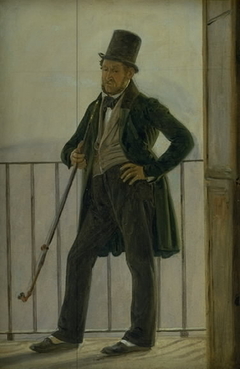 He travelled with other Danish artists, including Jørgen Roed, Christen Købke and decorative painter Georg Christian Hilker. 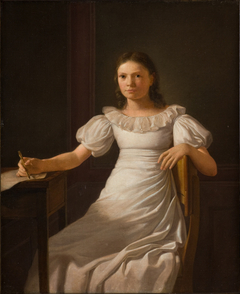 The Copenhagen Art Union (Kunstforening) commissioned a painting from Hansen in 1837. 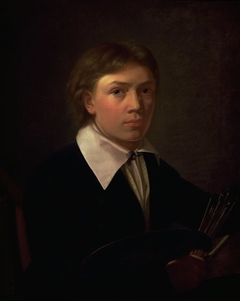 He provided them with "A Company of Danish Artists in Rome" (Et Selskab af danske Kunstnere i Rom). 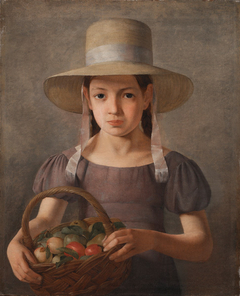 In addition he painted Italian folk scenes, and studies of Roman antiquities and architecture that reflect Eckersberg's spirit. 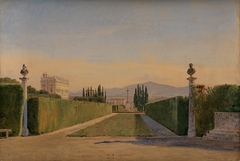 After eight years in Italy he finally returned to Denmark, staying briefly in Munich where he studied the technique of fresco painting, in anticipation of a commission, along with Georg Hilker, to decorate the University of Copenhagen's vestibule on Frue Plads. 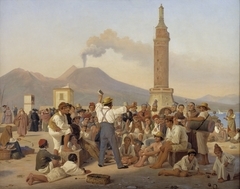 This work continued from 1844-1853. 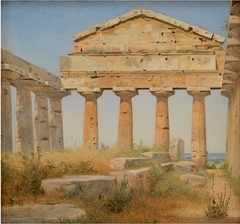 Hansen painted the mythological figures, while Hilker painted the decorations and frameworks. 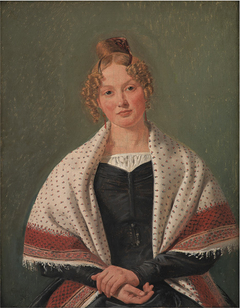 He married Magdalene Barbara Købke in 1846, and they had thirteen children. However, four children died within one year after being born and one of their sons, Hans Christian, was killed at the age of nineteen in a shipwreck. In 1854 he was named professor at the Academy, but first became member of the Academy in 1864. 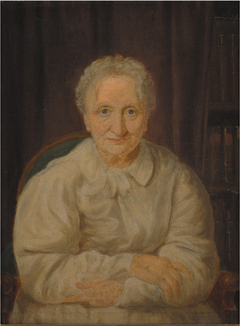 One of his daughters, Elise Konstantin-Hansen, became a recognized painter, and another Kristiane Konstantin-Hansen, became a tapestry weaver.